Shortly before our 70th anniversary concert in 2001 under former Musical Director Mike Petty, we made a recording of a few of our most popular songs on CD and cassette tape. These were previously sold at £7.99 and £5.99 respectively. 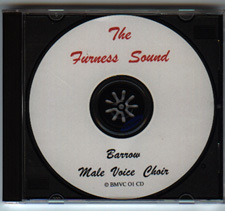 Copies from the original stock are no longer available but extra copies of the CD can be made to order.